So, here I am again, blathering on about box art. 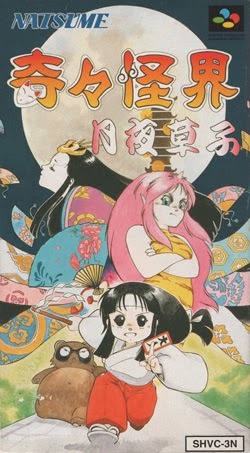 Super Famicom box art, specifically. Truthfully, I probably could publish five or even 10 posts about Super Famicom cover art, but I think two are plenty for now. Anyway, as the header above states, here are five more of my favorite pieces of Super Famicom box art. Rudra no Hihou--Talk about dramatic! I like every element of Rudra no Hihou's kaleidoscopic box art--especially the angrily orange backdrop (complete with a devilish pair of eyes). I also like the character designs, which aren't your typical JRPG fare. 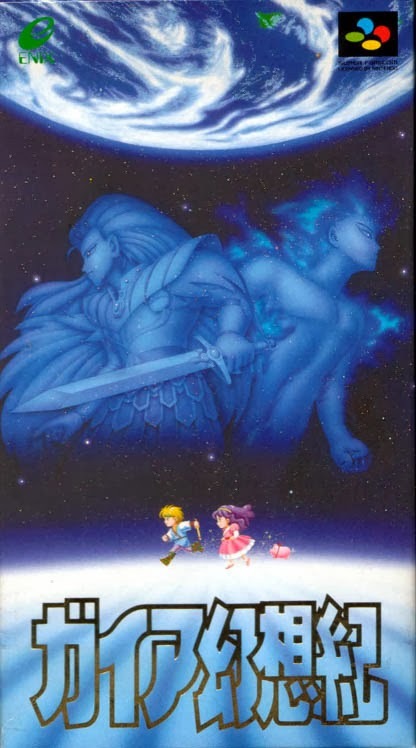 Kiki Kaikai: Tukiyozoushi--This one's kind of a mess at first glance, but let things sink in a bit and you'll likely look at it as I do: as a near-masterpiece in the realm of Super Famicom box art. If only the protagonist's eyes were less freaky. Oh, well, it's still completely wonderful even with their presence. Septentrion--The only Super Famicom game included in this post that I've yet to actually play in some form or fashion. I'm strongly considering it now, though, thanks to its striking cover art. I especially like the font the folks at developer (and publisher, in Japan) Human Entertainment used for its logo. 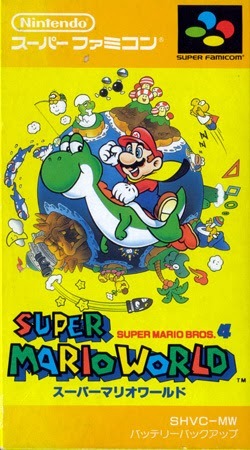 Super Mario World--If there's a piece of Super Famicom box art that can be called "iconic," it's the one seen above. 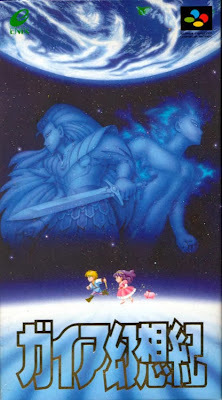 (True story: I regularly attempted to recreate the central illustration using pencil and paper as a teen.) And what a brilliant idea to surround everything in bright orange and yellow, don't you think? I'm shocked Nintendo never released a SMB5. Maybe they're holding off on it until they're completely desperate--which would be right about now, don't you think? Ah, you should check out Rudra no Hihou sometime, Chalgyr. It was made by the folks at Square and features a really interesting magic system. Also, it has an English fan translation, so it's completely playable even if you don't know Japanese! I always wanted to play Rudra's Treasure and have had the ROM for years but never got around to it! Which for me? Would be a must. I like to joke that my only languages are English and Really Bad English - but if it's translated out, that could be cool. 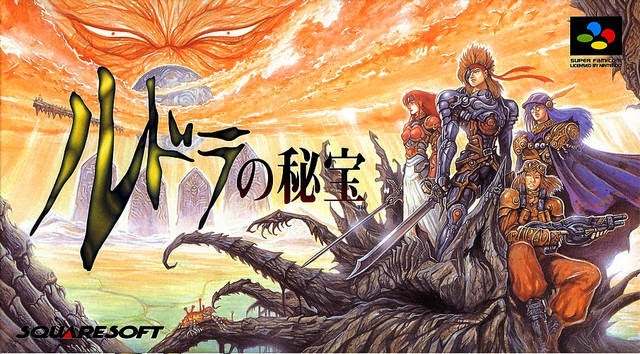 I feel like I missed out on a ton of really good RPG and strategy games over the years due to lack of localization. Also - on an unrelated note: Happy New Year! Well, then, Chalgyr, go check out the fan translation of this game when you have a chance! I started playing the fan translation of Rudra a few years ago, Marty, but as is too often the case, it fell by the wayside at some point for one reason or another. Finally, you're not the only person to suggest Septentrion is a tough game--a few other folks on Twitter have suggested the same. I'm scared! 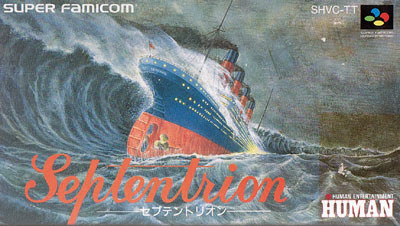 I love the box art for Septentrion too. 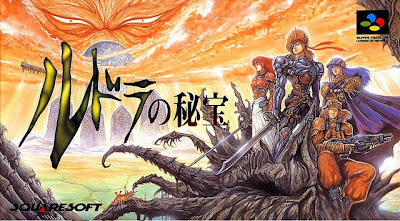 I`ve never played it either and I know nothing about the game except for its cover art. I saw it in a glass showcase at Mandarake once and I remember it just really caught my eye. Unfortunately it is an expensive one, I think they wanted about $100 or so for a CIB one. If I collected SFC stuff, I would be tempted!! Wow, I'm amazed it goes for that much, Sean. Maybe it was released late in the life of the SF and as a result it's rare? Or maybe it just wasn't released in very large numbers? Regardless, kind of a bummer--although I'm glad, in a way, that it makes actually buying a copy of the game a bit less appealing (because, really, the last thing I need right now is to start collecting SF games again).